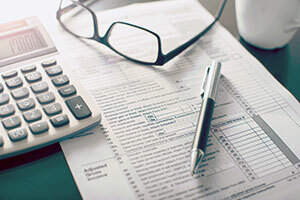 Income taxes can be reduced through the use of various tax strategies. Tax planning is always a part of proper investing. Your after-tax return can be increased when you use tax-efficient investment strategies. Remember, it's not what you make, it's what you keep that counts. We also have experience planning for the taxes from inheritances, stock options, and real estate transitions. We review your tax returns, analyze your current and projected income tax exposure, and make recommendations on how to reduce your future income tax liability. We do not prepare tax returns, but we can work with your existing tax advisor to develop the most appropriate strategies. Buy and hold: Yes, long-term investing is boring. Trading actively is speculation though, not investing. Take a long-term approach and use a buy and hold strategy in your overall portfolio. Turnover: Turnover can occur at the portfolio level and at the mutual fund level. The rule of thumb is that higher turnover equals lower returns. Studies indicate that a mutual fund turnover percentage of 100% reduces portfolio return by more than 1%. According to a Morningstar study, the average stock fund has a turnover ratio of 110%! The reason higher turnover equates to lower returns is partly transaction costs and partly taxes. Higher turnover means that there is more short-term buying and selling. Short-term gains are taxed at ordinary income levels, which are higher than taxes on long-term gains. Make sure your mutual funds have a low turnover ratio (below 20% is recommended, but it depends on the asset class). Not only should you be using a buy and hold long-term approach at the portfolio level, but also at the asset class level. Holding period: Short-term gains on investments are taxed at your regular tax rate, while long-term gains are taxed anywhere between 0% and 20% depending on your tax bracket. Capital gains rates are designed to encourage long-term investing. Most people can get a significant advantage by holding their investments for more than one year. Enter your federal marginal tax rate and hit calculate to compare the difference in taxes on $1,000 short-term gains and long-term gains. Tax-efficient investments: Besides low turnover, taxable investments should be structured for tax-efficiency. Some mutual funds are "tax-managed", meaning they intentionally try to curtail taxable distributions by minimizing dividends and internally offsetting gains and losses. Tax-free municipal bonds are another option to consider. Sometimes this is easier said than done. The trick is to implement these strategies without disrupting the overall asset allocation.